Glamorous gold and pink angle Christmas tree topper. 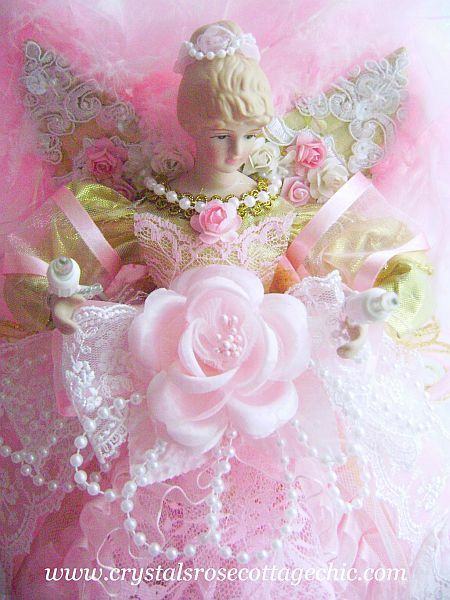 Embellished with lavish layers of pink lace, and trimmed with pink organza and satin ruffles this angel is sure to be the perfect crowning touch for your pink tree! Elegant bows of white bridal lace, pink organza ribbon, pearls and and a beautiful, pink rose are just the perfect touches on this special angel. 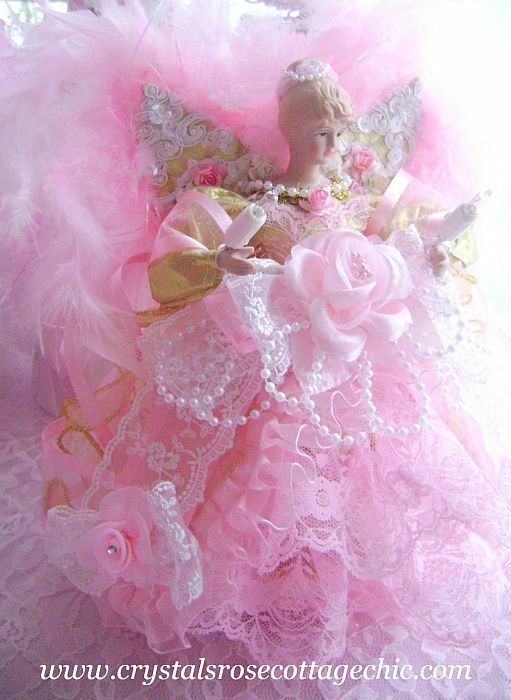 Her wings have been adorned with beaded ,bridal lace, a lovely assortment of roses and gorgeous pink flowing feathers! You'll treasure this angel for years to come! She does light up inside and she she has two lights that she holds as well. Only six left.